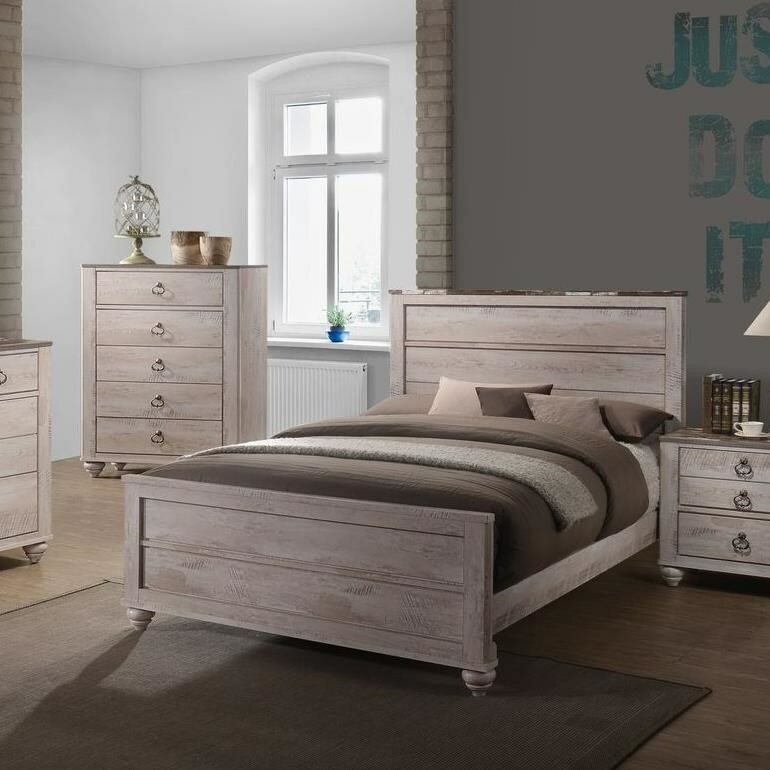 Blending casual and rustic design, this king bed will be an excellent addition to any home with its easy going style. Plank panels on the headboard and footboard are framed with clean, crisp lines. Bun feet and a warm distressed finish add character and flair to this wonderful bed. The top of the headboard is accented with a darker finish than the rest of the bed. Pair with storage pieces from this collection for a matching bedroom set. The C7302A Transitional King Panel Bed by Lifestyle at Furniture Fair - North Carolina in the Jacksonville, Greenville, Goldsboro, New Bern, Rocky Mount, Wilmington NC area. Product availability may vary. Contact us for the most current availability on this product. C7302A-BXN Queen/King Siderails 1 79.1" 2" 54.5"
C7302A-G49 King Headboard and Footboard 1 81.1" 0.8" 5.5"
This bedroom collection features simple, but charming designs with a rustic two-tone finish. The collection features details such as turned bun feet, ring hardware, and clean frames. The centerpiece of the collection, the classic panel bed has a planked panel design. The C7302A collection is a great option if you are looking for Transitional Casual furniture in the Jacksonville, Greenville, Goldsboro, New Bern, Rocky Mount, Wilmington NC area. Browse other items in the C7302A collection from Furniture Fair - North Carolina in the Jacksonville, Greenville, Goldsboro, New Bern, Rocky Mount, Wilmington NC area.